BSM Media engaged in local marketing to moms by created a buzz online for Thorntons’ trio of bourbon-inspired offerings in the Lexington, KY and Louisville, KY markets. 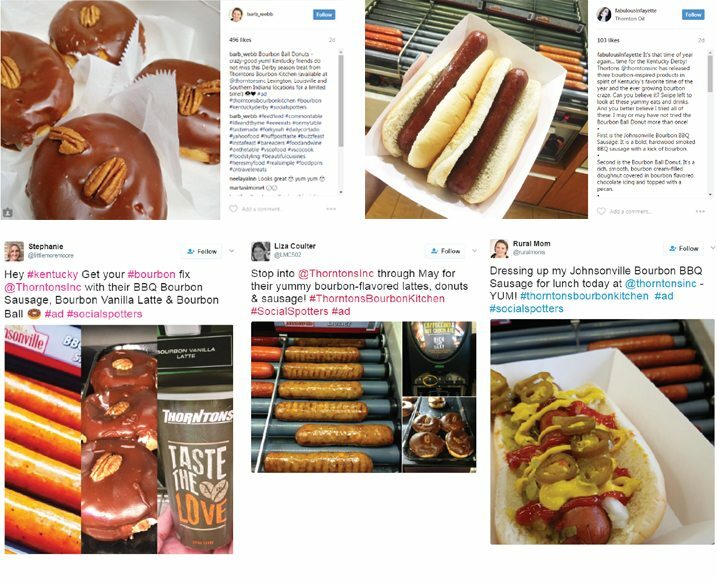 By activating the Social Spotters network in the target markets to find the featured trio of products and share photos of them online, we were able to increase brand awareness and recognition for Thorntons’ bourbon-inspired offerings among Mom consumers. BSM Media exceeded the benchmarks for social shares and impressions for this campaign and many of the influencers reported purchasing some or all of the products to try. Based on the measurements and the positive feedback from our influencer network, this campaign was a success!